22. Intervention, the key to fighting crime: The RCMP have beefed up their efforts to identify and intervene where it is believed a young person is being drawn into a life of crime. An Assistant Commissioner in the RCMP states this is the only way to reduce the risk of young people becoming involved in a life of violent crime. 21. Part III: Conspiracy to Rob the BC Ferry Terminal at Swartz Bay On this week-end in May 1983, I was involved in something entirely different than today May Day, 2015). It seems like yesterday that a group of police and civilians with whom I worked at the time were involved in a major robbery investigation that would see us sitting the entire week-end waiting for action from a gang of dangerous robbery suspects we had been tracking for nearly five weeks. The gang had amassed a small arsenal of firearms, dynamite, police scanners and sundry other equipment that they fully expected would lead lead them to vast riches at the Swartz Bay Ferry Terminal. Ah, but the police had an entirely different outcome planned for the gang. 20. Part II: Conspiracy to Bomb the BC Legislature On July 1, 2013, at about 9:30 am, a contingent of some 50 or more RCMP members in plain clothes milled about the B.C. Legislature grounds in Victoria in anticipation of a major event. Then, on the command of a senior officer, two plain-clothes officers swooped in and grabbed a pair of dangerous terrorists who had just planted several pressure cooker bombs. The news would soon flash around the world as a shaken Premier of B.C. and Prime Minister of Canada made statements about a catastrophe having been narrowly averted. But, after the arrest, things took a strange twist. 6. Part II: Conspiracy to Bomb the BC Legislature On July 1, 2013, at about 9:30 am, a contingent of some 50 or more RCMP members in plain clothes milled about the B.C. Legislature grounds in Victoria in anticipation of a major event. Then, on the command of a senior officer, two plain-clothes officers swooped in and grabbed a pair of dangerous terrorists who had just planted several pressure cooker bombs. The news would soon flash around the world as a shaken Premier of B.C. and Prime Minister of Canada made statements about a catastrophe having been narrowly averted. But, after the arrest, things took a strange twist. 4. The Secret World of the Canadian Border Services: (September, 2014) A Police Related Story. Would you believe the CBSA arrested over 10,000 people last year and 20,000 in the last three. Many remain is secret jails across Canada. Hard to believe? Take a few minutes to read this background material. 3. Mental Illness: A Rising Crisis on the Street (September, 2014) The message from Vancouver Police Chief and the Mayors in the Lower Mainland about this growing crisis. Vancouver is expected to arrest 3000 people this year under the Mental Health Act. 1. Abducted, the First Twelve Hours (June, 2014): The first of a series on challenges faced by people living on the street. This post includes the story of a young woman who ran away from abuse in her home near Bonnyville, Alberta, and eventual ended up in Victoria. 3. A Matter of Principle: Part II: Bard and MacLeish work towards the end game, but it was never without and endless series of complications that included a crooked Pawn Shop dealer. 2. A Matter of Principle: Part I: The Night Stalker: (June, 2013) Larry Doncaster, was a career criminal from the United States who roamed around the US and Canada carrying out substantial burglaries of upscale properties. His character could easily be used in a TV movie as he was a very likeable character as in “Catch me if You Can” a story of the life of Frank Abagnale, the loveable con artist from the book and TV movie fame. Doncaster managed to drive Garth and me crazy over weeks we pursued him. My wife, Lynn McNeill, helped at a key point in the case. 1. The MacLeish Chronicles: Introduction to series (July, 2013) This is my first attempt at writing a novelette. While it is an actual case from the Oak Bay Police files, the names of the lead Detectives have been changed as I wished to experiment with writing from a different perspective. Of course, Detective Bard was my friend and partner back then, Detective Sergeant Garth Fowler and I was Detective MacLeish. Bard’s name was taken from a role he periodically played in various theatrical productions. Through the 1950s and into the I960s, organized crime, crime families and police corruption, particularly in the Vancouver area, made regular headlines. Vancouver Chief Constable Walter Mulligan fled to the United States in fear of being indicted, but after charges were dropped, returned to Canada and lived in Oak Bay until he passed away in 1987. Other senior members of the Vancouver PD committed or attempted to commit suicide and in Victoria PD, Chief Constable Blackstock went into early retirement, replaced by an outside member who was tasked with the job of cleaning up the force. 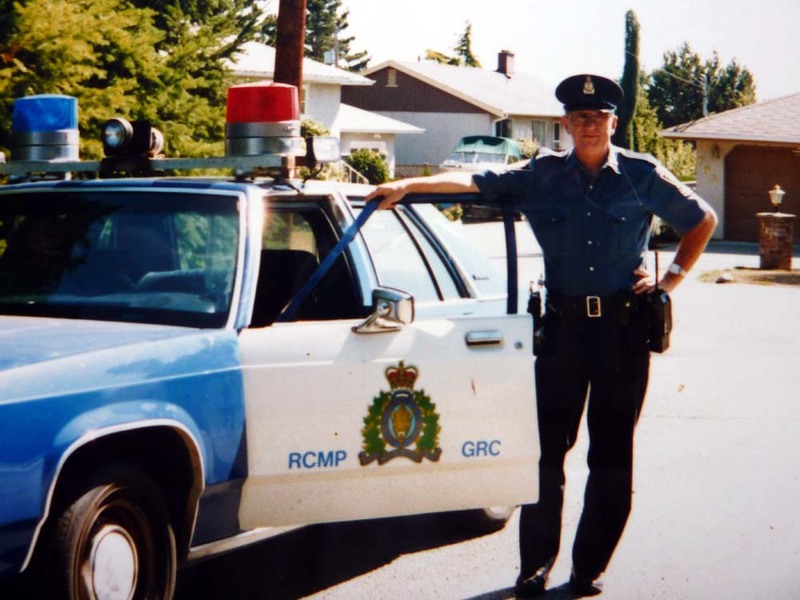 While Oak Bay escaped the headlines that hit the larger departments, it was never-the-less, a much different department today than it was in those early years. The story will trace some of the changes that have taken place. The following story lines are complete but require several more proof reads. They will be added over the coming months (not necessarily in the order listed below). At a time when cash was still king, many businesses still carried large amounts of cash which they either kept in a safe, or transported to a night deposit box. On a long week-end the BC Ferries terminal at Schwartz Bay could be holding upwards of two hundred thousand dollars, a very enticing amount for a group of inept criminals whose pre-planning included robbing a bank in Brentwood and bombing a car in Sidney. In order to finance their plan they sold drugs and at one point robbed the Brentwood Liquor store. As one of the lead investigatores, working with a Joint Forces crew…. Can you pick up my Girl Friend? Thank you for checking into the Police Notebook Series. To receive notice when additioinal stories are added, please send an email to: harold@mcneillifestories.com. Any comments you may have for improvements would be greatly appreciated.